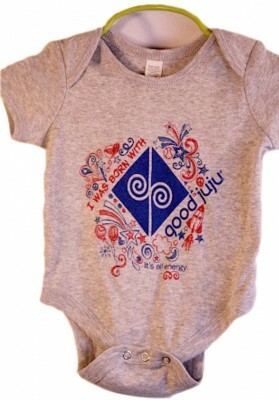 Our Born with Good Juju Onesy shows how fun it is to be a girl! With hearts, stars, flowers and more this lively design will get everyone excited about playtime! 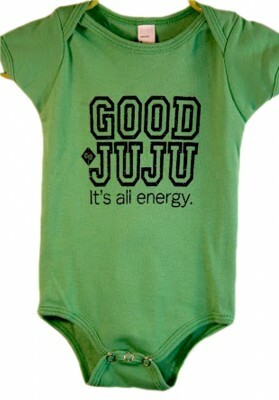 Made from 100% cotton not only will this special girl be wearing Good Juju, but she will be living comfortably in Good Juju! 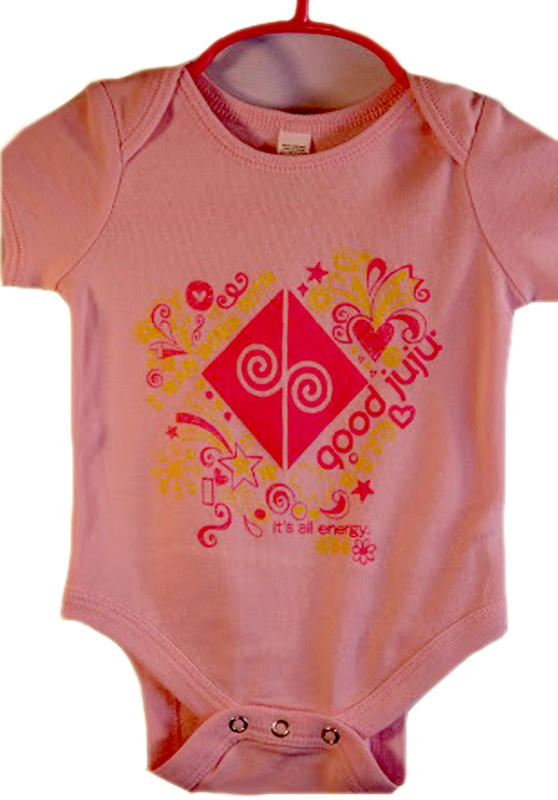 This is the perfect addition to any baby girl’s wardrobe. 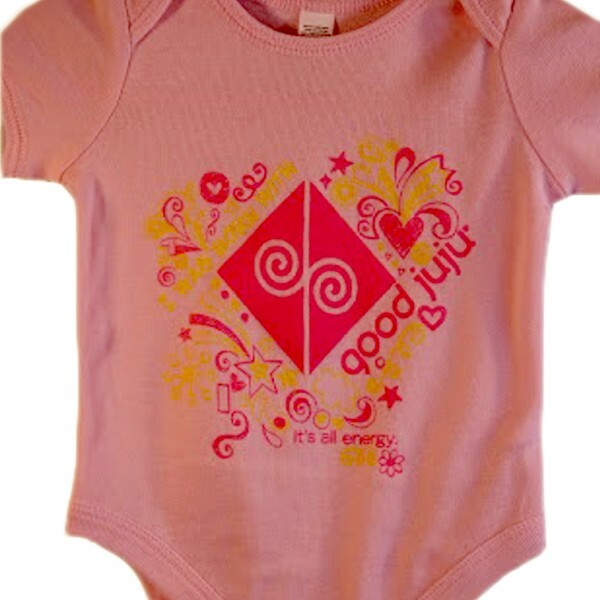 Buy one for your baby today and buy another for a friend! These make fantastic gifts!